That’s the way the law begins. And, yeah, no surprise, The Legal Genealogist did come across this statute while poking around Florida laws in preparation for this weekend’s 2017 Valentine Genealogy Seminar of the Indian River Genealogical Society, at McAfee Hall, First Presbyterian Church, Vero Beach, Florida. It’s the statutes that we’ll be talking about much of the time on Saturday there in Vero Beach: what they are, where to find them, and what they tell us. And figuring out those county lines is a key part of what the laws have to tell us. 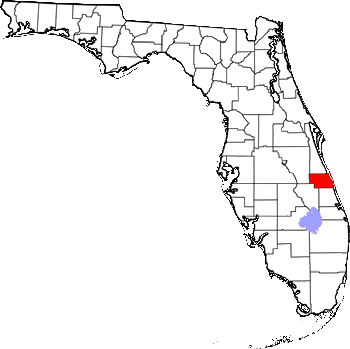 If you wanted to find an ancestor who lived in Vero Beach, for example, where would you look for his or her family in the 1920 census? It wouldn’t be in Indian River County, now, would it? Because that county didn’t exist until 1925. But what if you were looking for that same family in 1900? All of those changes are set out in Florida’s laws. And that’s just one of the things the laws tell genealogists. Just one of the reasons why, to understand the records, we have to understand the laws of the time and the place. I will be driving from Brevard County to Vero Beach to hear you speak. I love reading your blog especially about your Parker County Texas ancestors as I have ancestors from there and Tarrant and Wise County too. I have wondered if they knew each other. We’ll have to compare notes! !